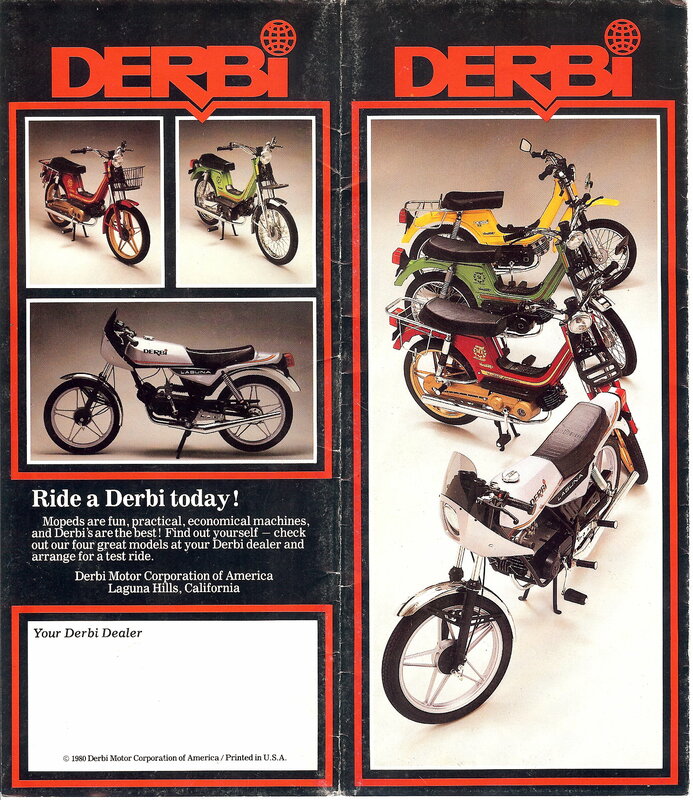 There never was a parts catalog made for the 1980-1985 Derbi mopeds. 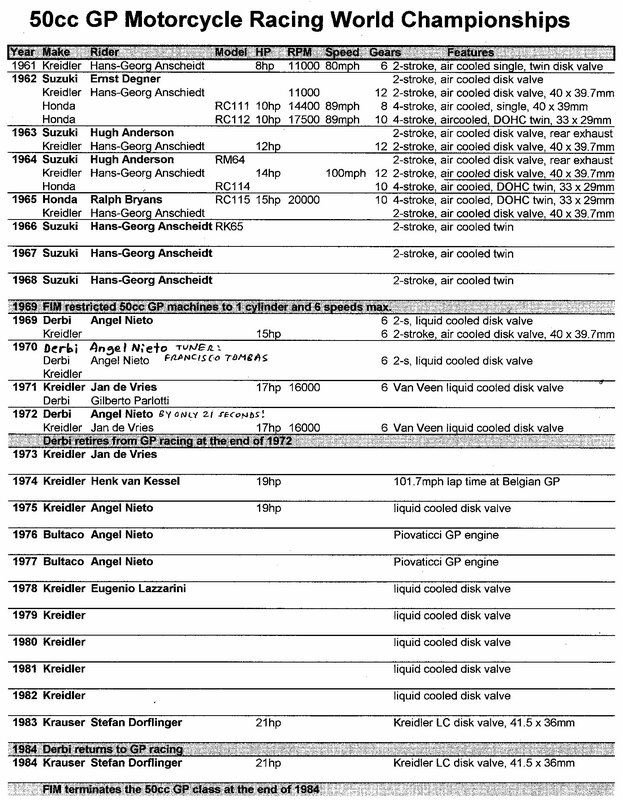 There were only addendums or updates to the 1976-1979 parts catalog, in the form of loose sheets of paper. Not all of the sheets came out at once, as not every improvement happened at once. 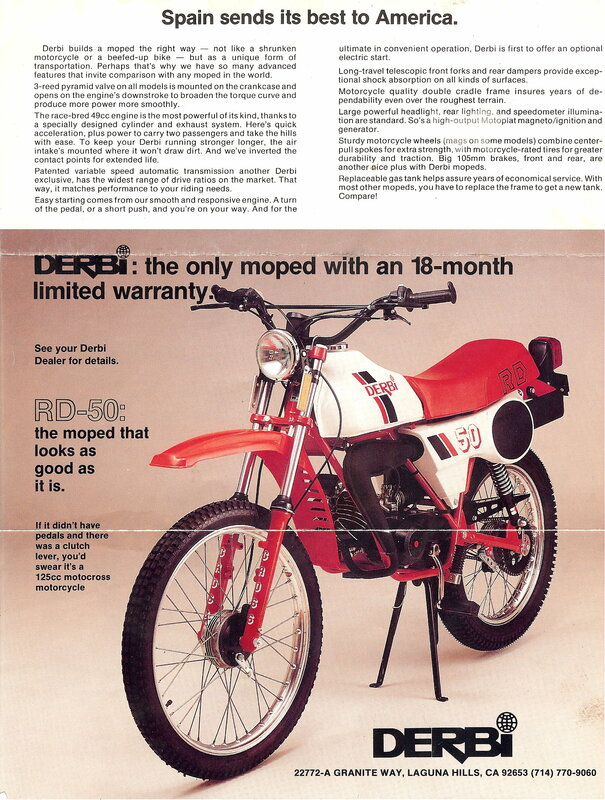 So many Derbi dealers in the late 1980’s ordered things from the 1970’s parts catalog for their 1980’s models, because they did not have the 1980’s update pages. 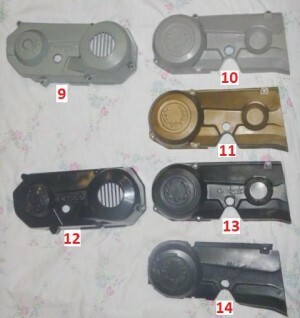 So some of Myrons Mopeds Derbi parts are left-overs from that. 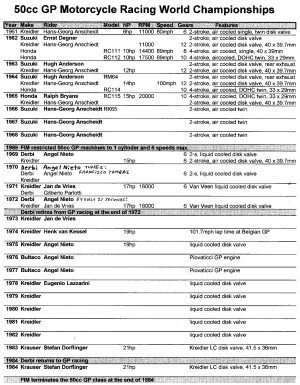 Things like the “90 degree” or “straight” style throttle, which determines/identifies the throttle cable, cannot be known from just the year and model only. For those items, only photos or direct observation can determine the correct part. Many things are different that appear to be the same. Top speed 43 mph! with intake & variator restrictors removed. Welcome. Myron’s Mopeds carries some Derbi moped parts. 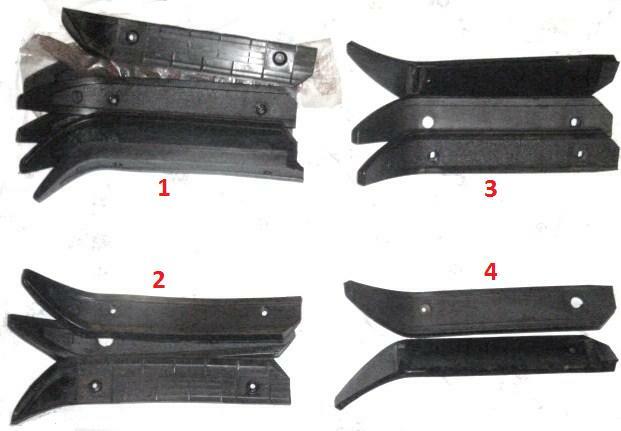 Many things are already offered in Parts/By Type, such as lights, switches, horns, brake shoes, spokes, tires, tubes, Delorto carburetor parts, pistons, rings, engine nuts, woodruff keys, etc. 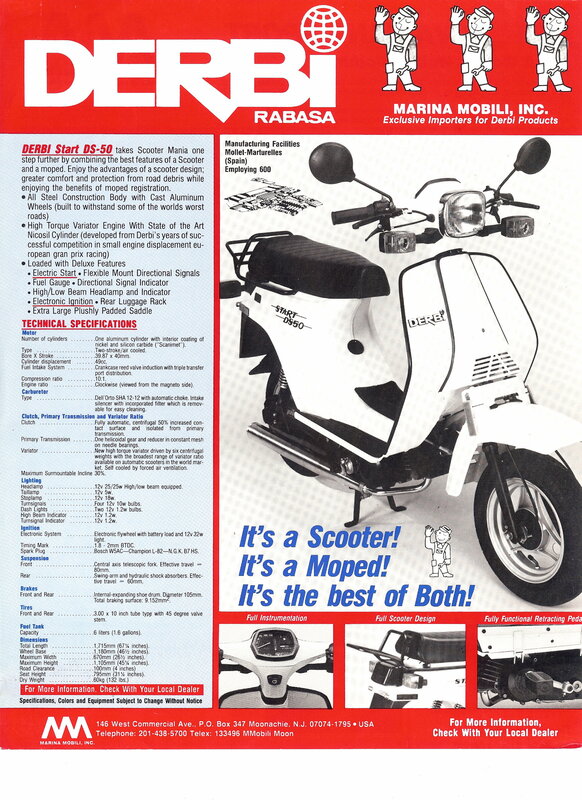 Here is where Derbi parts are listed, that are “for Derbi only”, pretty much. 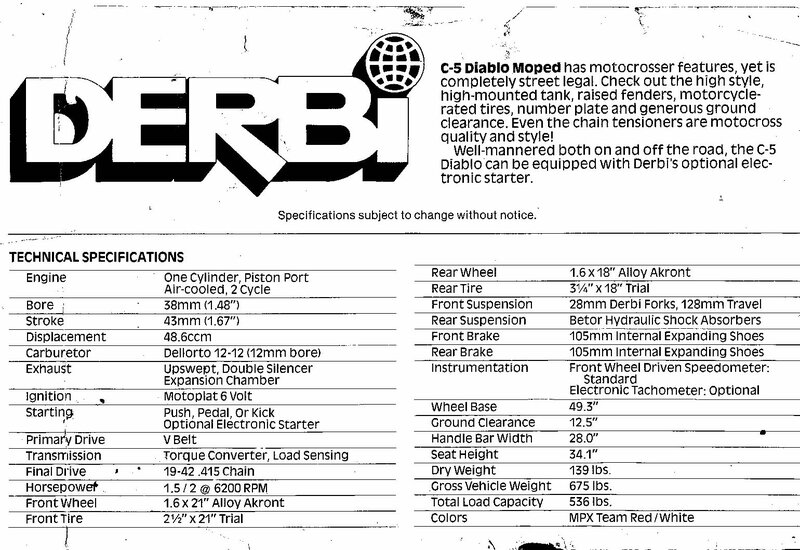 Be sure to look at the Derbi Engines sheet because the Derbi mopeds here are grouped into three engine types. Click on any of the pictures to enlarge. Derbi Center Panels: The center panel choke button is supposed to push the Delorto carburetor choke lever down, and later allow it to release back up after the bike is started and the throttle is momentarily maxed out. But it often does not work properly, and it is finicky. When it sticks, either on or off, you must wiggle or move the center panel to make it click, or else remove the panel and operate the lever directly. 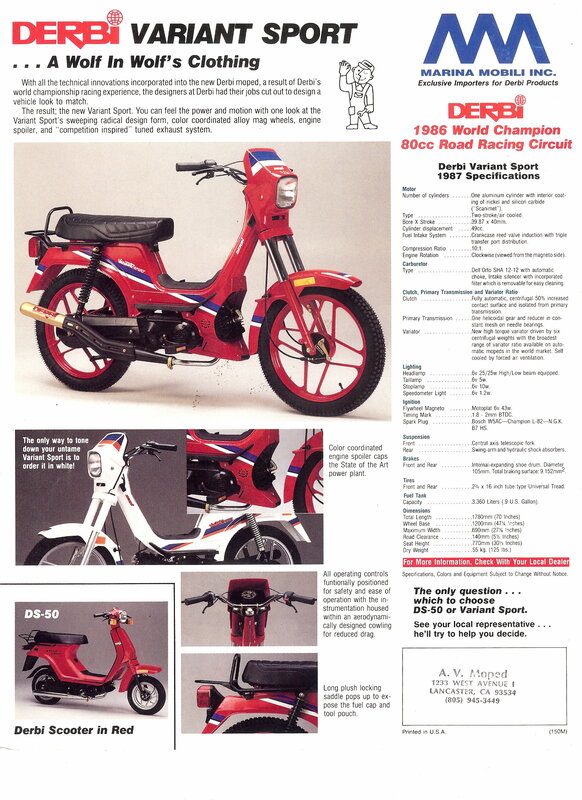 The main cause is an incorrect angle of the carburetor. 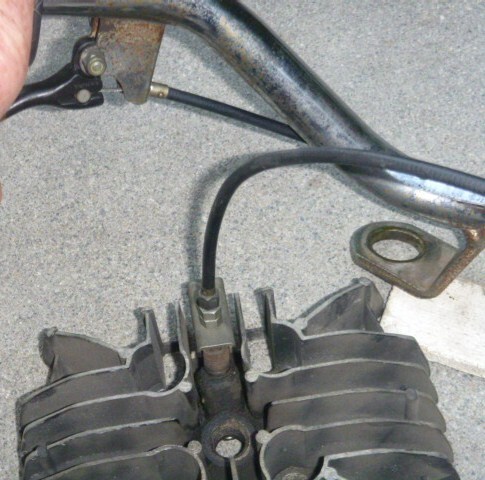 Loosen the clamp and rotate one way or the other. The carb should be vertical, but the finicky panel might require it to be slightly tipped. 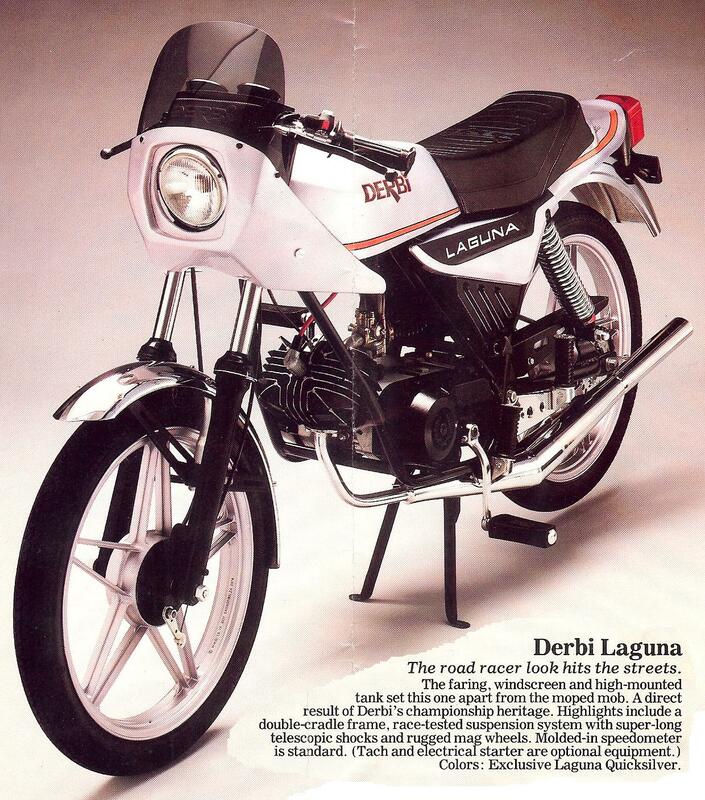 Because of this difficulty, many Derbi owners have cut holes in, or removed and discarded their center panels. 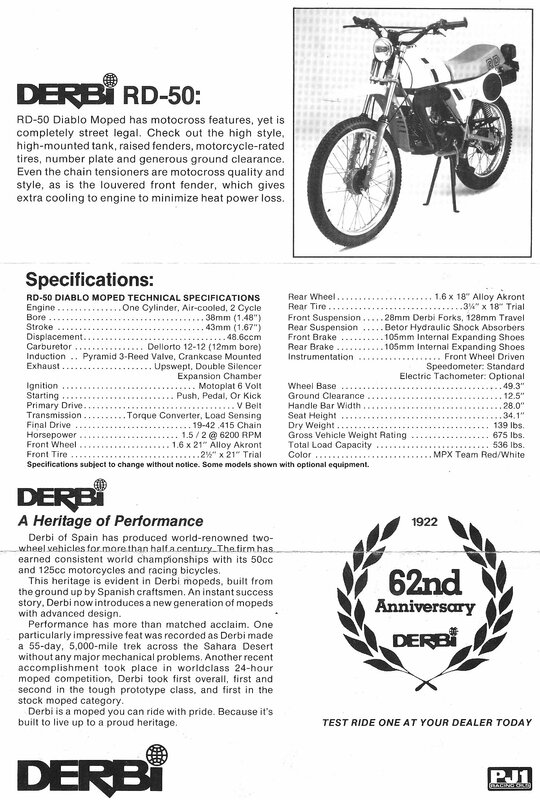 Derbi fixed the problem on the 1986-1989 models by using a choke cable and a right handlebar lever. No more reaching down and fussing. 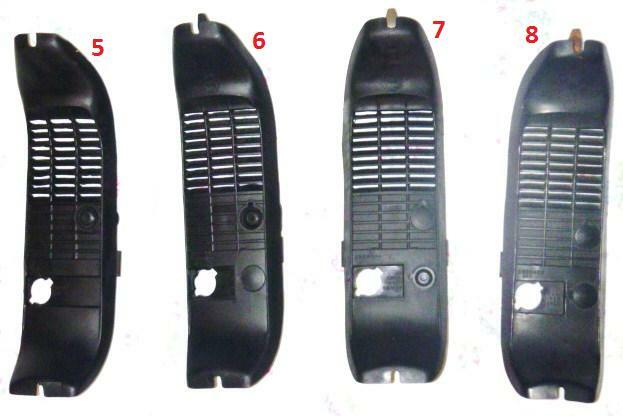 Derbi Center Panel Choke Button Parts: There are three different “feet” that press onto the vertical plastic button shaft. Here are shown the correct ones, for reference purposes. Some are for sale but not yet listed. Also the steel tongue at the front is for sale but not shown here. 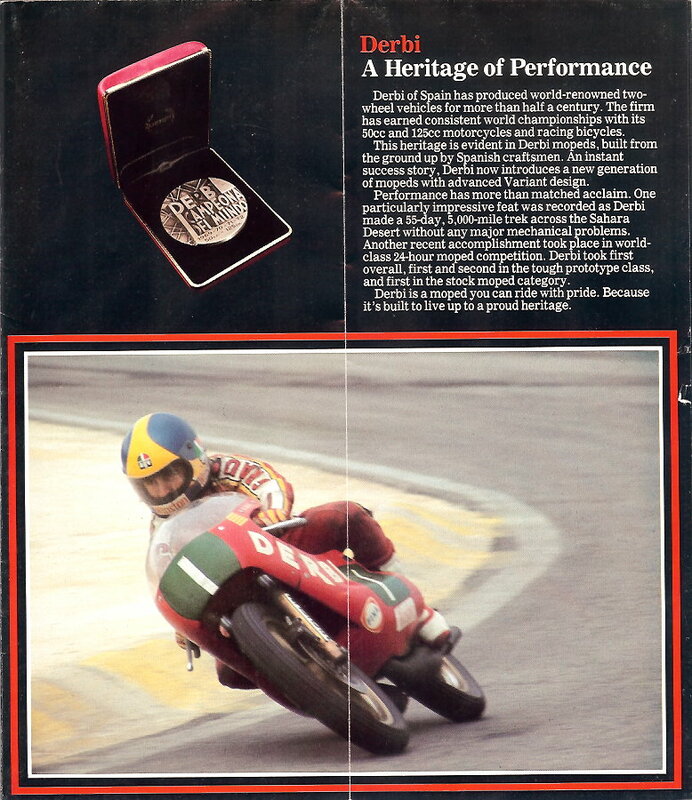 Derbi speedometers are made by Walker, under license by VDO. 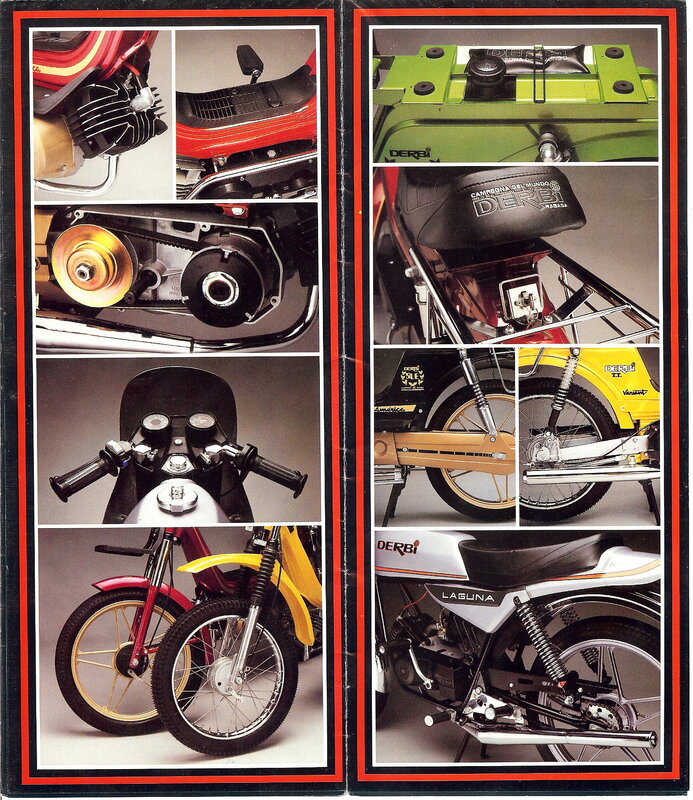 They are compatible with other VDO speedos on Puch, Sachs, Batavus, Sparta, Kreidler, and others. 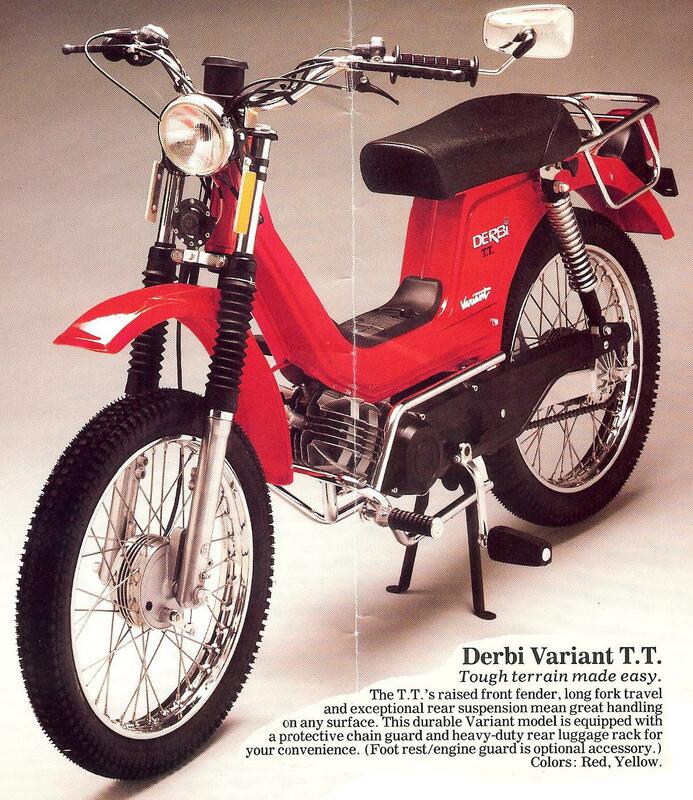 But they say “Derbi” on the face, so they are here in Derbi, rather than with the other VDO’s in Parts/By Type/Speedometers. 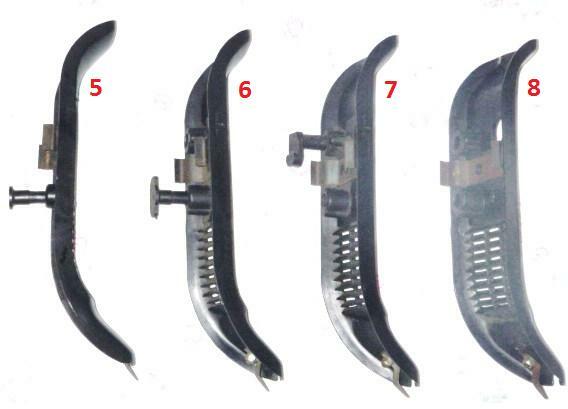 Derbi SL, SLE, TT Speedometer Cables: Many Derbi speedometer cables have a kink below the speedometer that causes the inner wire to break repeatedly. 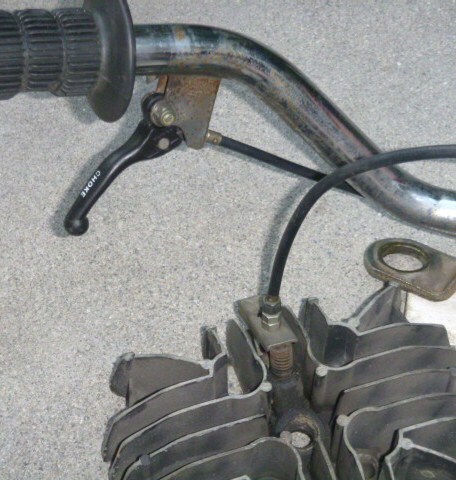 The kink is from the back of the “pancake” headlight pushing the speedo cable back. There is no easy remedy. As with any speedometer cable, any kink or sudden change in direction will eventually cause the inner cable wire to break there, because as it rotates it is being bent back and forth. 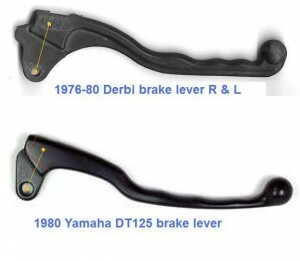 Derbi Variant 1976-1986 brake levers and decomp lever are different that all others. Instead of a clamp-on lever housing, they are housed in a welded-on steel perch. So there is no changing controls without changing handlebars or grinding off the original lever perches/housings. 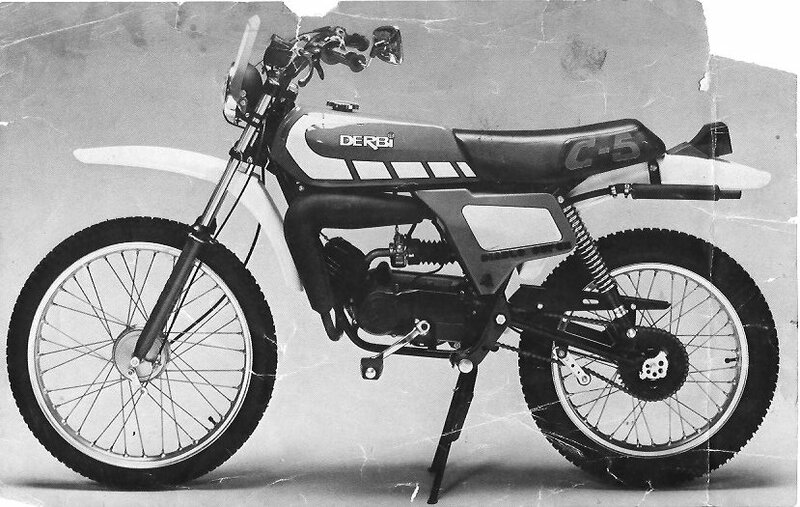 Changing handlebars is difficult because the original Derbi handlebars also do not interchange with the rest of the world, because they have special mounts welded onto them. 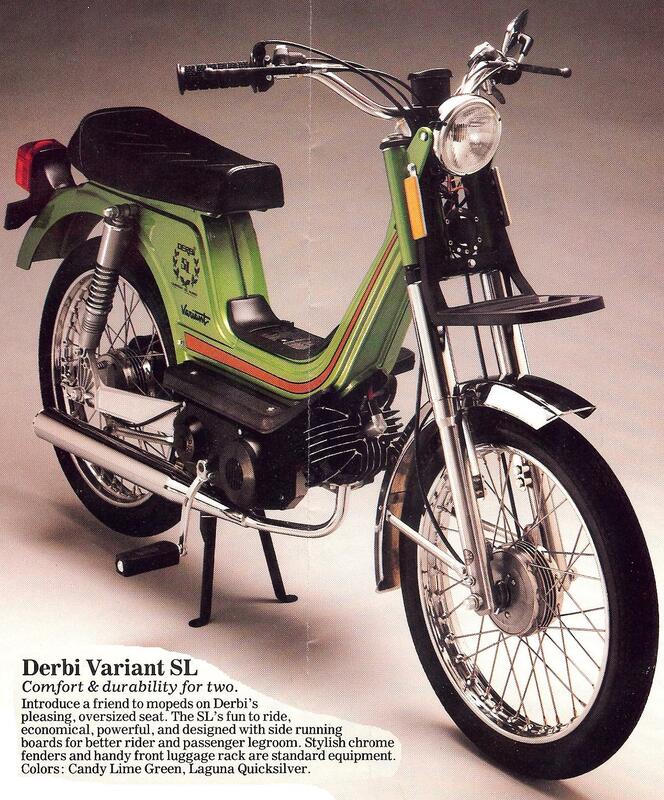 Derbi Variant 1976-86 brake levers have been unavailable since the early 1990’s. Substitute modified Yamaha levers are currently being investigated. Besides making it function as a cable lever, it also has to reach the brake light switch button. That’s what the little hump is for on the far left in the photo. 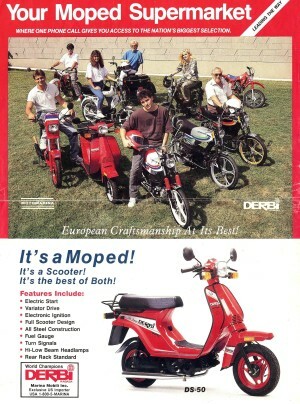 Derbi Variant Sport and DS50 1987-1989 are completely different. They are “80’s Domino” black, used also on mid to late 1980’s Garelli, Tomos, and Trac. 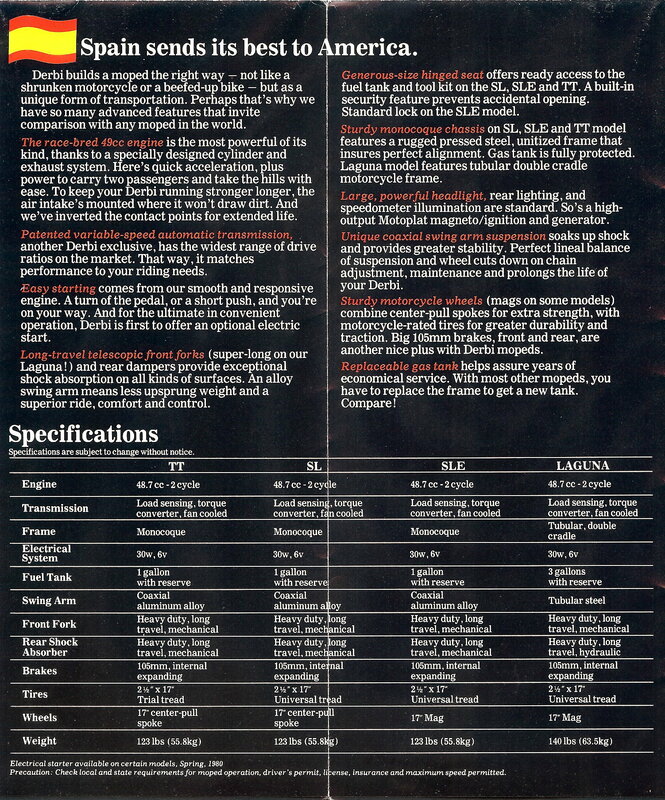 See Parts/By Type/Controls for those levers and parts. 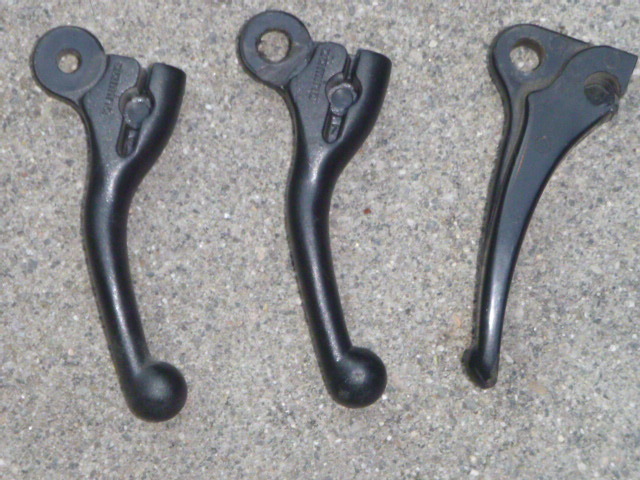 The original black plastic 1976-1986 Derbi Rabasa decomp levers are scarce or not available. However there is a pretty good substitute available. 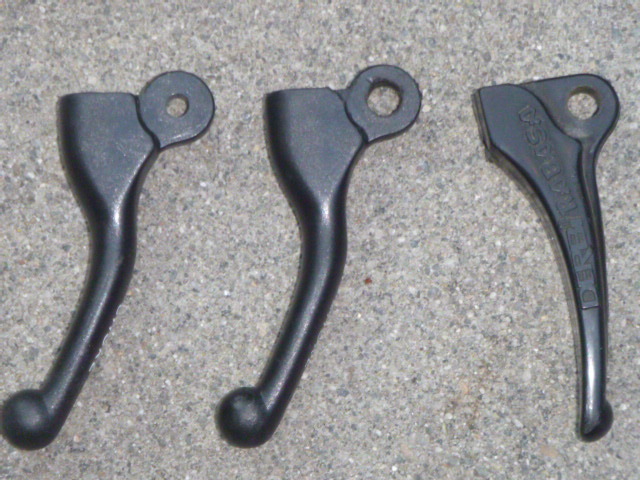 A late 1980’s Domino choke lever, like on the later 86-89 Derbi Variant Sport, can be modified to fit an earlier Derbi. The substitute Derbi decomp lever can be ordered for $12 plus $5 for the modification. 2. No need to grind off the welded-on mount. No interference with the lights/horn switch. 3. Goes in the original position, looks proper. The word “choke” wipes off with carb spray solvent. 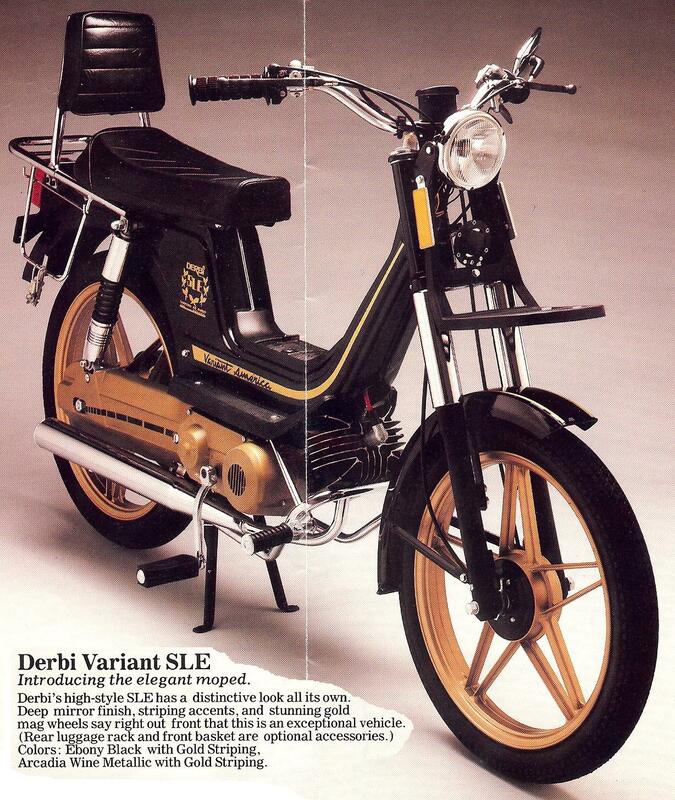 You are currently browsing the archives for the Derbi Parts category.